It’s always a great feeling having your pooch play around you, showing you the affection with its playful tactics, walking around the place as if patrolling its territory. You feel good to know that your canine is healthy and joyful and your only wish would be for your pet to remain healthy. One of the most common problems with canines is the flea and tick infestation, which is generally, cured using treatments. Some treatments may show instant results, whereas, some may not. Not all pets are the same and thus, the extent to which treatment may show results vary. So, should one resort to a different treatment, when one is already been taken? It is always advisable to consult a vet before combining treatments. Just as we sometimes react to a combination of treatments, our pets may also do the same. Only a vet can understand and suggest an apt combination as and when required. Heartgard is a go-to option if one is looking to combine a heartworm preventatives with flea or tick treatments. This is because Heartgard doesn’t target fleas or ticks and thus doesn’t hinder with the other process. The catch here is to assure the absence of heartworm treatment from the flea or tick treatment. If not so, the combination should be avoided. Buy Heartgard Plus at Lowest Price | Free Shipping! Flea collars like Preventic are safe to combine one-on-one with preventatives like Revolution, Frontline Top Spot or K9 Advantix, Frontline Plus, etc. The combination has shown successful results of flea and tick prevention, esp., tick prevention. 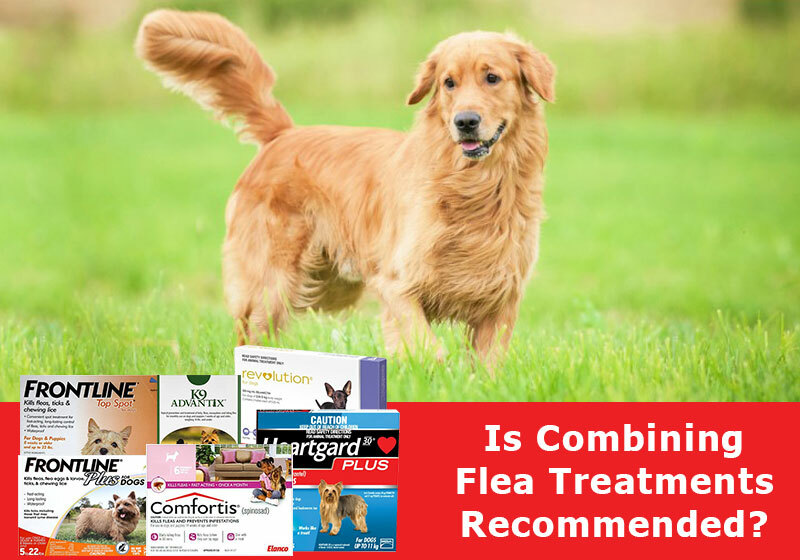 However, vet consultation is advised before combining Seresto Flea collar with any other treatments. Buy Frontline Plus Here | Free Shipping! Capstar or Comfortis can be combined individually with a variety of flea and tick treatments, viz., Frontline Plus, Revolution, Advantage Multi, etc. Though it is not usually recommended to use more than one oral flea treatment at the same time, it’s safe to combine Comfortis &Capstar. 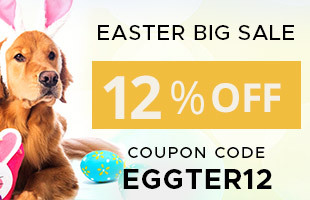 Buy Comfortis for Dogs | Free Shipping! Let us have a look at some of the treatments that shouldn’t be combined. Frontline Plus and Advantage II mustn’t be combined. Similarly, Advantage Multi shouldn’t be combined with Revolution and other preventatives except for Capstar or the Preventic collar. If your pet has been subjected to a flea or tick treatments, a flea bath should be avoided for a couple of days. Similarly, if the pet has been given a flea bath, flea or tick treatments should be planned a few days later. Though external flea and tick treatments, i.e., treatments of your house or surroundings do not conflict with the preventatives being administered to your pets, it would be a smart move to avoid spraying your pet while treating your house for fleas and ticks. Two treatments targeting the same problem should be cautiously combined. Vet consultation is the prime advice to all. Also, one should keep in mind to avoid administering treatment more than the recommended dosage without the vet’s advice. As a pet parent, it comes naturally to one to cure one’s pooch at the earliest. But it is important to think rationally rather than emotionally in certain situations and give your canine the desired time to recover. Before taking any measure that could be potentially harmful to your pet, it is always suggested to take the vet’s advice on the same.